If you are looking for something that melts fat cells, shapes body, eliminates cellulite tissue and helps with weight loss then invest in a cellulite treatment system. Cellulite removal machines do more than enhance the appearance of your skin and body, they improve blood circulation, metabolism, and even collagen and lymphatic circulation. 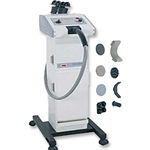 Source One Beauty offers Calvitation and Body Slimming machines, Body Contouring Systems, Cellulite Reduction Machines, Radio Frequency Systems and more. Now you can offer cellulite reduction as part of your spa services. Tour clients will no longer have to live with unsightly cellulite and lumpy skin. Let us help you to help your clients look their best…Shop with us!